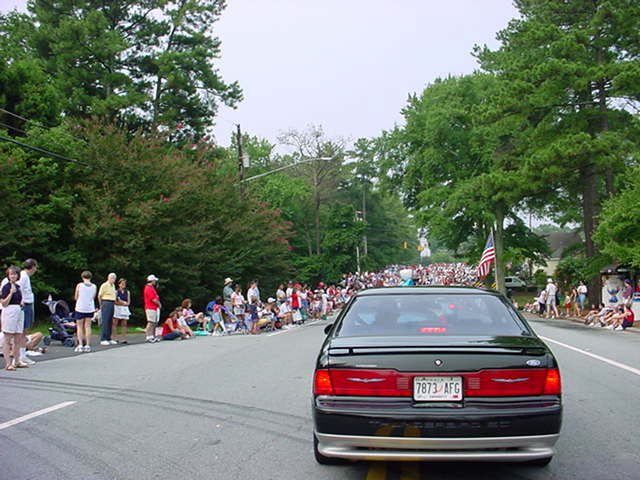 Dan Lineback and Mike Puckett had the honor of representing the MN12 Thunderbirds in a flock of Birds participating in the 4th of July parade in Dunwoody. 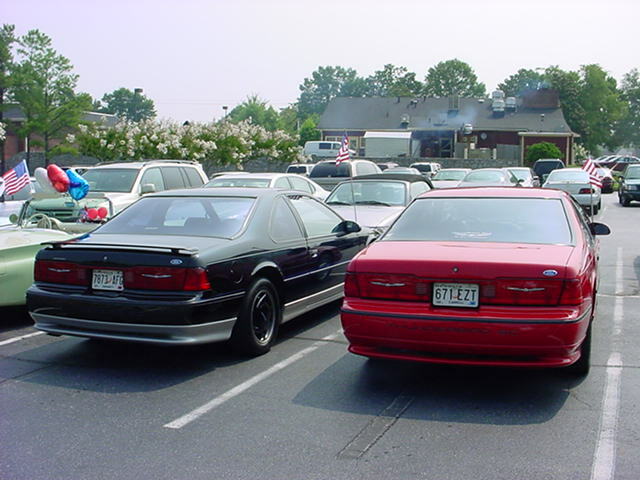 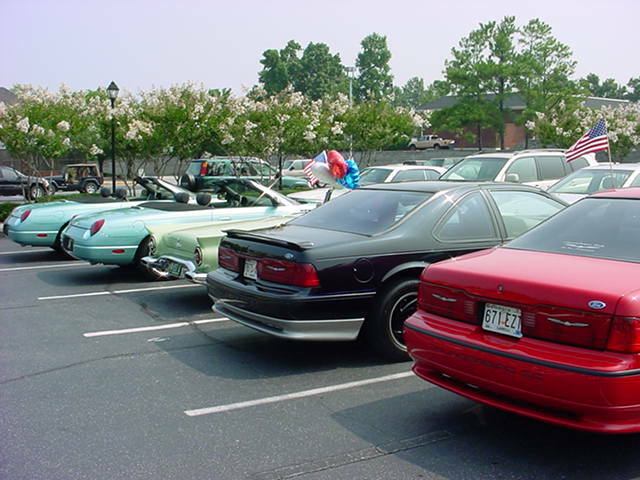 A total of eight birds owned by members of the North Georgia Vintage Thunderbird Club (All Years), Classic Thunderbird Club International ('55-'57), The Metro Atlanta Thunderbird Group ('02), and the SCCoSE attended. 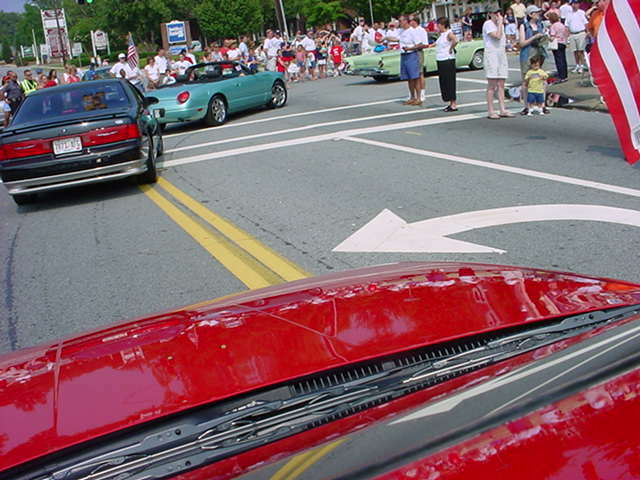 The parade included a '57 convertible, a '66 hardtop and a '66 convertible, Mike's 35th Anniversary Edition, Dan's '91 SC, and three '02 Birds. 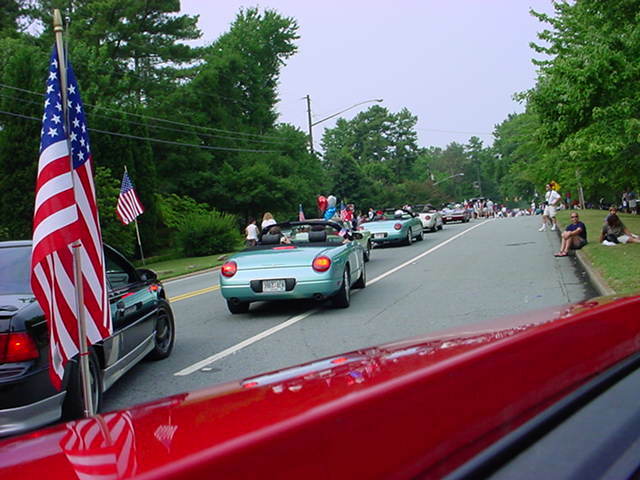 All of the T-birds received many compliments from the numerous spectators. 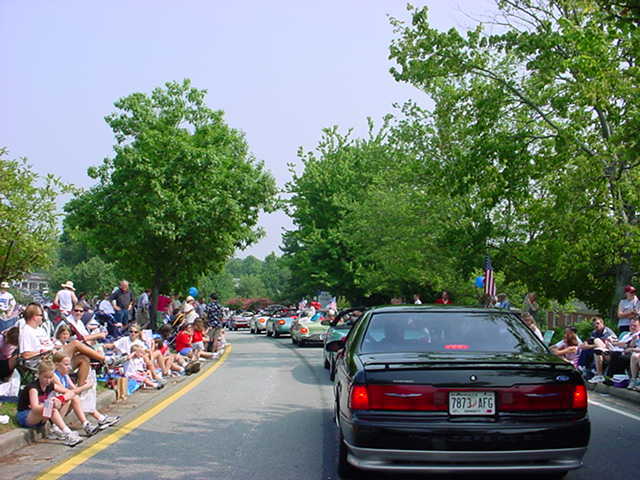 Following the parade we ate lunch and discussed the history and evolution of these cars over the past 47 years. 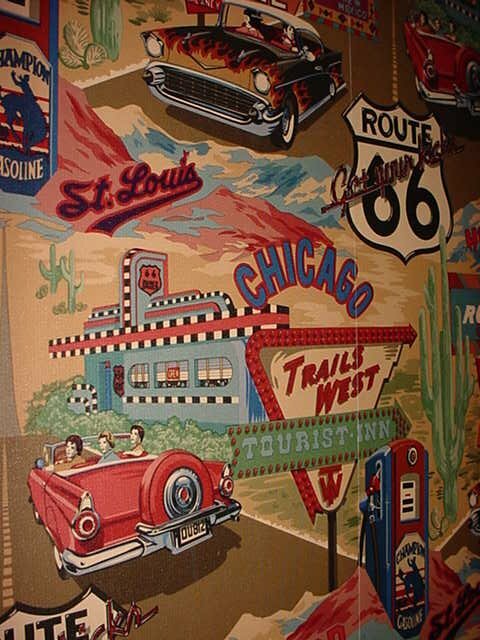 An amazing coincidence...the wall paper at J. Christopher's (the restaurant) featured '57 Chevrolets and '56 T-Birds!